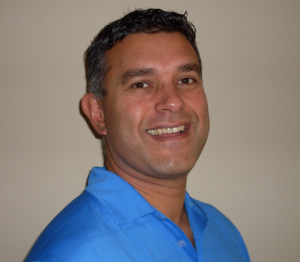 Dr. Julian Mendes has been a licensed chiropractor for 15 years. After completing an undergraduate degree at University of Lethbridge in 1992, he furthered his education at Canadian Memorial Chiropractic, in Toronto, to earn his Doctorate of Chiropractic in 1998. Following graduation, Dr. Mendes opened a chiropractic office in Calgary and practiced for 8 years until a warmer climate and beautiful lakes called Dr. Mendes to move his wife and three daughters to Kelowna, BC. Dr. Mendes’ heart for outreach into marginalized populations was evident through his volunteer work at Outreach Urban Centre, providing individuals the access and availability to chiropractic services in downtown Kelowna. After 7 years of successful practice in British Columbia and reaching out to the underprivileged, the spring of 2013 marked a return back to hometown Calgary. Especially passionate about helping individuals suffering from scoliosis of the spine, Dr. Mendes continues to expand his knowledge of scoliosis by studying new advancements in this area, both for adults and children. He has successfully completed advanced training in the treatment of scoliosis and is one of very few accredited providers of the SpineCor brace in Alberta and BC. Dr. Mendes is active in a busy chiropractic office in central Calgary, offering SpineCor scoliosis brace fittings in both the Calgary office and a satellite location in Kelowna, BC Canada.